Research proves that early integration of music into your child’s daily routine means improving his or her ability to think, reason, create, and express. We teach children music so they can become better learners. With Kindermusik, the world’s most respected name in early childhood musical education, you and your child will participate together in every step of the learning process: music skills to academic skills to life skills. Looking for a fun summer activity to do with your kids? Lisa Hollis is offering two Kindermusik classes for children ages newborn to age 7 over the summer. 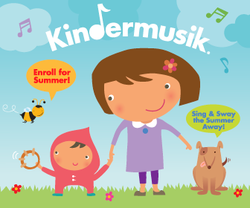 Each session is five weeks long so is perfect for those who are new to Kindermusik and want to see what it is all about. Returning Kindermusik families will enjoy the summer themes: exploring animals at the zoo and creatures at the ocean! Please see the dates and times below. For more information please contact Lisa directly: 720.684.7684, lisa_hollis@hotmail.com. Classes will be held at Lisa's music studio at 356 1/2 Main Street, Suite 2, Longmont. Kids and trains make a natural match—always on the move. Tag along this summer with a traveling zoo train. Bring your own stuffed animals for the petting zoo. 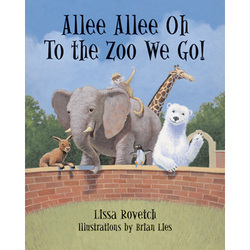 Wear long white socks on your hands for polar bear paws and learn about real animals in the zoo. Sing songs for clapping time, and use music to help kids regulate emotions. 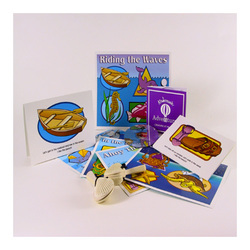 Home Materials: Zoo Train Book, Home CD, animal shaker instrument, and poster. Class Fee: $80.00, including home materials. Babies 3 months and under are free when attending with an older sibling. Sing sailor songs and make the ocean count. "Five little seashells lying on the shore: Swish! Went the waves and then there were four." Make homemade kites and fish sandwiches using fish-shaped bread and P.B. and J. Class Fee: $80, including home materials.